This is where I was when I found out you were coming into the world. 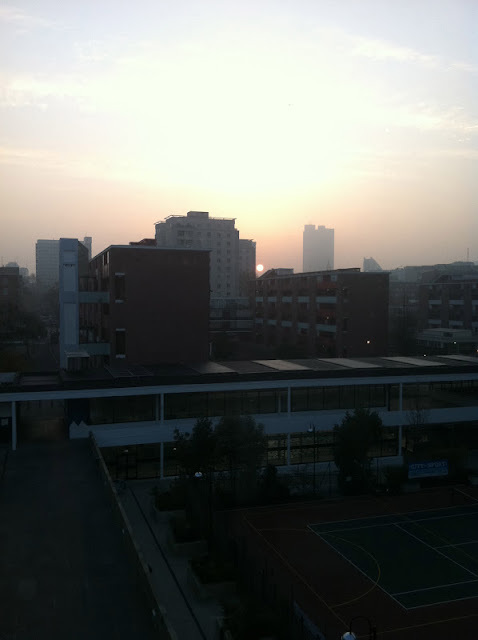 I will always remember this moment, I woke up uncharacteristically early, did the test and sat down in front of the large window to see the results, at the same time the sun started to rise up over London. I looked down and had an overwhelmingly happy calm feeling. We are going to have a baby, a child, a new human being! I went to work that day with the best secret inside me. Congratulations! New life adventure is just in front of you....I will keep looking. Good luck. Yeah! How wonderful! I'm so happy for you. Congrats! Different doesn't begin to explain the life changes about to happen. Congratulations! And make sure you enjoy every moment: it is truly magical! Congratulations! I'm so happy for you. Love from the Netherlands.